This year's Brighton Festival takes place from 2-24 May. 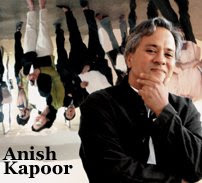 For the first time ever, it has a guest curator - the Turner award-winning artist Anish Kapoor. Of course, in this current economic climate there is less money around for the arts than ever, especially in Scotland, it seems, with the hard-hit Scottish banks withrawing their sponsorship. However, according to this blog piece in the Telegraph by Rupert Christiansen, the Brighton Festival doesn't seem to have fared too badly in the financial squeeze. In fact, in his opinion, this year's programme is shaping up to be the best ever. That's reassuring to hear, especially as I have worked on a piece that is going to form a part of this year's festival programme. It's the opera, Cocteau in the Underworld, for which I've written the libretto. The composer is Ed Hughes. A workshop production of Cocteau in the Underworld will take place in the Pavilion Theatre on Monday 4 May at 9.00pm. It will be pretty much self-contained, but is not the complete opera. In fact, it represents about half of the piece and should take about 35 minutes. There's more about the Brighton Festival here. More about Cocteau in the Underworld here.